People, Planet, Principles and Profit are the 4Ps of the model that Anne Lise Kjaer has established for companies of the future. The Danish futurologist believes that the time has come for major companies and world leaders to question fundamentals, based on the premise that “the future is not a place that we head towards, it is a place that we create”. The principal basis of Kjaer’s model is for companies to stop feeding off the environment and instead have a positive impact and actively help to enrich it. Paradoxically, in order to understand the work of a futurologist one must look at the present, as the author explained using the words of McLuhan: “we march backwards into the future, and that means we can only move forward by looking at the past and the present”. This is exactly how Anne Lise Kjaer works, looking at the trends, concepts, ideas and examples of today that can be used as inspiration to create a better tomorrow: “current science gives us clear indications of how the future will look”. 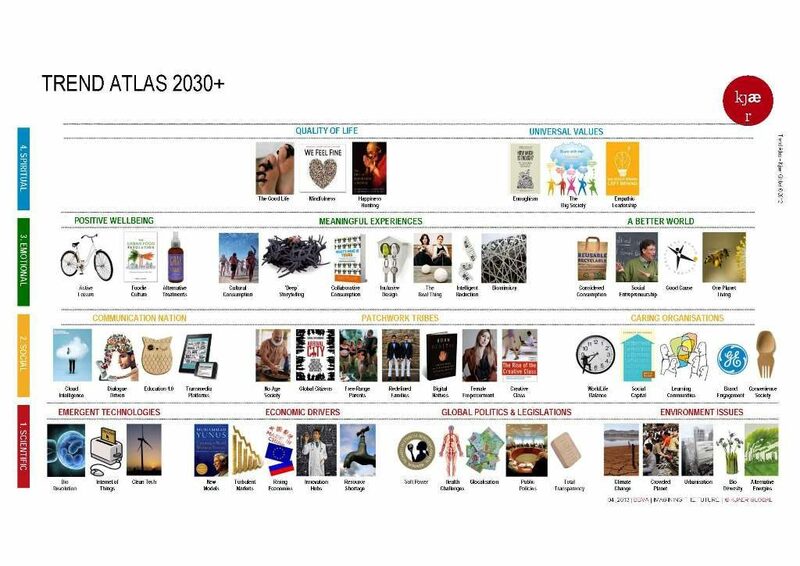 Anne Lise has developed her own tool, the Trend Atlas, to help understand all the factors involved in such a complex context. The system identifies the essential aspects that will determine what shape the future might take: “a map like this allows us to observe the changes that are already happening”. In her article Imagining the future. Leading the Way in a Changing World. Consumer Trends for The Future, from the recent book “There’s a Future: Visions for a Better World” the OpenMind author maps out some of the trends that have already been identified: “the global brain”, digital natives and their role as future world leaders, etc. OpenMind offers you the chance to get ahead of the rest and understand the consumption patterns of the future, as well as the powerful consequences of innovation on our future society. And hurry, because Kjaer believes that “over the next 20 to 36 months very positive things will begin to emerge”.